The Dark Brotherhood is a guild of professional assassins with considerable influence and power. It is similar to the officially sanctioned Morag Tong of Morrowind, but despite a common misconception is a completely separate organization. Entry is governed not by completing a given task, but by the Brotherhood observing you committing murder. The legality of the organization is much more limited than that of the Morag Tong (or of the Fighters Guild, which also sometimes kills for a bounty). According to Lucien Lachance, the Dark Brotherhood has sanctuaries all over Cyrodiil; however, only one of these is ever accessible to you: the basement of an abandoned house in Cheydinhal. This particular sanctuary was founded more than 200 years ago. The current head of the Cheydinhal "family" is Ocheeva. However, new family members are given instructions by Vicente Valtieri. Ocheeva receives instructions from a Speaker, Lucien Lachance, who is also responsible for recruiting new members. Lucien in turn receives his instructions from the Listener. The absolute leader of the Dark Brotherhood is the Night Mother. Ranks: Murderer, Slayer, Eliminator, Assassin, Executioner*, Silencer, Speaker, Listener. * The rank of Executioner is not available to you; your promotions skip straight from Assassin to Silencer. 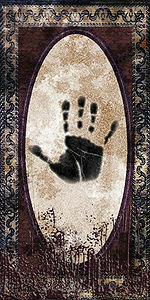 However, it is officially one of the possible ranks for a Dark Brotherhood member. For more information about the history of the Dark Brotherhood, see the lore page. Murder someone! As you've most likely heard spoken by citizens anywhere in Cyrodiil or the Shivering Isles, the Dark Brotherhood recruits new members by contacting murderers in their sleep. If you want to join and have yet to kill anyone, you must murder an innocent citizen. Upon killing a citizen, whether or not you were detected, a message will appear saying, "Your killing has been observed by forces unknown...". The next time you sleep in a "safe location", a message will appear saying, "The air grows chill and a shadow approaches...". You will then be woken by Lucien Lachance, a Speaker of the Dark Brotherhood. He will offer you membership and describe what you must do to be accepted. You cannot just personally see to an NPC's death; you must actually murder them in accordance with the game's crime engine. For example, if you have a poison or enchantment that does damage over time, and it's the poison or enchantment, not the initial attack, that does the final point of health damage, you will not trigger the questline. If you do not wish to level up in the process of joining the Dark Brotherhood, the sleep during the quests Anvil Recommendation and Where Spirits Have Lease will not cause you to level up. Forget the quest. It will remain forever in your quest log, but won't bother you. When Lucien comes around the first time, kill him after talking to him. He is fairly easy, and his murder removes the initiation quest. You can also loot his Black Hand hood and robe. Killing Lachance is also the only way to drop the Blade of Woe, short of following the Dark Brotherhood questline to completion. Since the quest is marked as "completed", the Blade is no longer considered by the game to be an essential inventory item. After you kill Lucien you will never be able to join the Dark Brotherhood. Adoring Fan: If you have already beaten the Arena questline, you can agree to let him follow you and then lead him into the wilderness where no one is around and kill him. He respawns in a few days. Adventurer: You can kill a non-hostile adventurer in a dungeon if you encounter one. They're usually fairly easy to defeat since your level will always be two above theirs. In fact, if they appear in a dungeon full of bandits, it's easy to mistake an Adventurer for one of the bandits, especially if the bandits are also Orcs. The earliest place you might meet one is Dzonot Cave, a cave on City Isle just south of the bridge leading westwards out of the Talos sector. Adventurers spawn randomly and their presence is never guaranteed. Aelwin Merowald: He gives a fetch and retrieve quest in Weye. Once you finish the quest, he may tell you where his savings are hidden. The key to his savings can be pickpocketed from him or looted from his corpse. Agronak gro-Malog: If you do the Origin of the Gray Prince quest, he will not fight you at the end of the Arena questline, allowing you to kill him without receiving a bounty. Alga: She respawns, so killing her will not permanently remove her from the game. She can be most easily killed in Olav's Tap and Tack. Alval Uvani: He travels frequently and can therefore be killed on the road without witnesses. Killing him early will allow you to skip the Dark Brotherhood quest A Matter of Honor. Arena foes: You can kill them after casting a fear/demoralize spell, which will not incur a bounty. Arnora Auria: After speaking to Jorundr during Two Sides of the Coin, kill her without speaking to her. You will be able to complete the quest and avoid a bounty. Caminalda: During the Anvil Recommendation quest, attacking Caminalda before she attacks you will not give you a bounty but her death will count as a murder. Camonna Tong Thug: Killing one of the two Camonna Tong thugs at Walker Camp will give you no bounty, as neither will report it. If you attack one of them before he attacks you, killing him is counted as a murder. They both respawn in a few days. Captain Renault or Glenroy: Just after the start of the game, Renault dies a scripted death. You can kill her before the assassins do in order to claim the kill, receiving a bounty which will be lifted when you leave the sewers. Near the end of the tutorial, Glenroy will become non-essential and you can kill him to initiate the Dark Brotherhood questline without getting a bounty. Followers: You can murder respawning followers, but this may get you suspended from related guilds. Glarthir: He can be killed without acquiring a bounty when meeting him behind the church, completing the quest Paranoia. Hrol Ulfgar and Nivan Dalvilu: Mephala's Daedric quest requires you to murder these two and frame them for each others' deaths. Given Mephala's alleged relation to the Dark Brotherhood, this can be a particularly fitting way of gaining the guild's invitation. Imperial Legion Foresters: Two can usually be found fighting to the death (fixed by UOP) in the area between Bruma and Applewatch. The winner has low health from the fight and can be killed easily. You will acquire a bounty, but you gain two silver bows, steel arrows, and some pieces of Legion armor. Roxanne Brigette: She resides at the Skooma Den in Bravil. While you could kill any of the Den's residents, she is the only one who will report a crime. Note that visitors can still report crimes. Umbra: She is killed during Clavicus Vile's quest, which normally cannot be started until level 20. However, you can initiate the quest at any level simply by killing her, giving you a bounty-free murder and allowing you to complete the quest at level 1. Access to the Cheydinhal Sanctuary is only available to members. In particular, this allows you to purchase from M'raaj-Dar who sells a number of unique magical items and spells. His spells do not follow standard formats, and some of them are cheaper in magicka cost than any other comparable spell. Note that if you are expelled from the brotherhood, access through the sanctuary's main door is prohibited. If you have earned the Sanctuary Well Key you can enter the Sanctuary that way, but members will attack you on sight and reject any attempt to yield to them. There is an opportunity to become a Vampire. You gain access to weightless Poisoned Apples. These may be purchased from M'raaj-Dar in the Cheydinhal Sanctuary, or you can take ten apples every three days from a barrel in Lucien's Chamber in Fort Farragut. The apples in the barrel are available to anyone, but you will normally only learn about them through the Dark Brotherhood. Poisoned Apples bypass poison resistances, so they provide a sure (but tricky) method to kill most people. You can receive numerous unique or leveled items, generally as bonuses for successfully completing quests. Once you have acquired the rank of Listener (by completing the final Dark Brotherhood quest, Honor Thy Mother), you can have one of the Dark Brotherhood Murderers follow you as a henchman. One of the Murderers is also a very convenient merchant, since she has very low Mercantile skill, buys stolen goods (unlike M'raaj-Dar), and has an extremely high disposition towards you. As Listener, you may also complete tasks to earn 200 gold per week. As long as nobody sees you when you kill someone, you will not gain a Bounty or have any subsequent problems with the law. However, completing Dark Brotherhood quests automatically earns you Infamy points. As explained in detail on the article on Infamy, gaining infamy has several effects. One of the most notable is that if your Infamy exceeds your Fame you cannot use temple altars for healing. You may also have difficulty with the Knights of the Nine questline. The Dark Brotherhood is not as well accepted in Cyrodiil as the Morag Tong is in Morrowind; the latter is a government-sanctioned guild of assassins. In Cyrodiil, even trying to contact the Dark Brotherhood is illegal, not to mention being a part of it. If you are caught in the act of a murder, you are on your own. Whichever way you want to handle your bounty, the Brotherhood will not endanger other agents by helping you – unlike the Thieves Guild, which will help its members pay off their bounties. The Five Tenets. If you break these rules you are exiled from the Dark Brotherhood and have to defeat the Wrath of Sithis to be reinstated. However, you only have two chances before you are dismissed permanently. The only Tenets you have any chance of breaking in the game are the Fourth and Fifth, which prohibit you from stealing from or killing your fellow assassins, respectively. There is no way, through conversations or your character's actions, to break the first three Tenets. Saying you're not ready for a contract is not the same as refusing to carry out an order. During the quest The Purification, you gain permanent immunity from the Tenets, and from that point on it is impossible to be expelled from the Brotherhood. The abandoned house above the main safe haven of the Dark Brotherhood. The Dark Brotherhood questline is unusual in that in between each of the first ten actual quests there is a brief mini-quest that appears in your journal. The only purpose of the mini-quest is to instruct you to ask about your next contract. When you talk to Vicente or Ocheeva the mini-quest is considered complete. The names of the mini-quests are provided here, but they do not have their own quest pages and are generally not taken into account when describing the sequence of Dark Brotherhood quests. A Knife in the Dark: You must prove your worthiness to join the Brotherhood. Initiated by the unprovoked murder of any NPC. A Watery Grave: You must kill the captain of the pirate vessel Marie Elena. Initiated by the Welcome to the Family mini-quest. Accidents Happen: An honest Wood Elf in Bruma has upset some dishonest people. Initiated by the Blood of the Damned mini-quest. Scheduled for Execution: An old "friend" in the Imperial Prison needs to be released... from living. Initiated by the No Rest for the Wicked mini-quest. The Assassinated Man: Help Francois Motierre fake his death to escape his cowardly mistakes. Initiated by the To Serve Sithis mini-quest. The Lonely Wanderer: A High Elf in the Imperial City must be removed from existence. Initiated by the My Brother's Keeper mini-quest. Bad Medicine: Cure the sickly warlord Roderick at Fort Sutch: a spoonful of sugar, a pint of poison. Initiated by the Enter the Eliminator mini-quest. Whodunit? : Summitmist Manor; there were six on the night of last and then there were none... save one. Initiated by The Night Mother's Child mini-quest. Permanent Retirement: Adamus Phillida spent years looking for the Brotherhood; assure him they've always been "right behind him." Initiated by The Assassin's Gambit mini-quest. The Purification: Things at the Sanctuary have gone sour, and the Brotherhood can't afford chance or weakness. Initiated by the Of Secret And Shadow mini-quest. Affairs of a Wizard: The first Dead Drop contract at Hero Hill, to stop a necromancer from achieving immortality. Initiated by The Dead Drop mini-quest. Final Justice: Beneath an Old Bridge lies the next Drop, requesting judgment on a known psychotic. The Coldest Sleep: Locate a Nord at Gnoll Mountain, said to be running from a fate he chose in Solstheim. Today it will find him. While doing the Dark Brotherhood Quests, you may use poisoned apples to kill NPCs silently and without a bounty. Ten respawn in a barrel with a very hard lock in Fort Farragut where Lucien Lachance is located. M'raaj-Dar also sells them; the poisoned apples have a base cost of 300 gold each. There is a great alternative to poisoned apples, though. While pickpocketing, you can only place things in an NPC's inventory that have 0 weight, such as Mages' hoods. You can first enchant them with a soul gem to do 'damage on self' then put it in your target's inventory. The best time to do this is while they are sleeping — making sure to pickpocket any helmet they currently have. When they awaken, they will wear their new hood and it will kill them slowly, but much faster than waiting for them to eat a poisoned apple. Waiting for the mark to eat an apple could take a few days; using a burning, freezing or shocking hood takes health down as soon as they wake up. Alternatively, instead of taking their helmet with the risk of them catching you, you can wake them up by talking to them after putting the enchanted hood in their inventory. They will put the hood on when they go back to sleep. Also, if you put a string of "A" characters before the name of the hood, they will put it on when they wake up even if you didn't steal their other hat. This is because, unless an NPC is scripted to put on a specific form of headgear, they will just put on the first type that they come across in their inventory, which is conveniently in alphabetical order. If your character is good at alchemy, make some good poisons (e.g. Triple Damage Poisons) to apply to weapons. Attack whomever you want to kill to take them down in one strike. This will be an assault, so Charm a guard just long enough to talk or yield to him. The Charm spell will ensure he likes you so much that he pays the fine for you. If you have the Vile Lair plug-in and have purchased the upgrade for the "Garden of Venomgrowth" area, you will find three Chokeberry bushes. These berries, unfortunately, weigh 0.1 and therefore cannot be reverse-pickpocketed. You can, however, place them on tables and in containers for NPCs to eat. You can always cast a frenzy spell on your victims in cities. This way if you cannot get them alone or don't want to commit a crime, you can still kill them very quickly and with the help of the guards or anyone else that the victim attacks. Talking to the other Dark Brotherhood members about the contract can sometimes provide useful information (in particular, advice provided by the Argonian Teinaava is often more useful than what you might get from other members). When in a tight spot, use help! If one of your followers kills the target in a battle, you will not get the murder bounty, the follower will. This is a list of known Dark Brothers. The NPCs who do not have a rank icon are NPCs who are, for various reasons, not members of the standard Dark Brotherhood faction. In most cases they are members of Dark Brotherhood splinter factions (i.e., Dark Brotherhood Elite), and those factions do not have the same rank system as the standard Dark Brotherhood faction. In some cases they are NPCs who are identified during the game as members (primarily victims of the later quests, i.e. Broken Vows onward). *There are about a dozen small factions associated with the Dark Brotherhood besides the main one. If you hang around in the Sanctuary you may hear the other members have rather morbid, but amusing discussions about their own contracts. If you activate the A Knife in the Dark and while sleeping for the first time inside Anvil's Benirus Manor during the Quest Where Spirits Have Lease, Lucien will interrupt your fight with the Benirus Manor Ghosts and leave once the conversation is done without offering his assistance, as the ghosts will not attack him. Some members of the Dark Brotherhood will attack on sight with a disposition of less than 30, and retaliation will cause suspension from the faction. ? Two Dark Brotherhood members can be heard talking about a mission and one can be heard stating how "Antoinetta has been running her mouth off again". This line can be said even if the person saying it is talking to Antoinetta herself, and even after you become the Listener (which is after Antoinetta has been killed already). ? It is possible that when going to sleep, the message "autosaving" appears instead of the message "The air grows chill and a shadow approaches...." ? This page was last modified on 12 March 2019, at 13:11.